What is Kids 4 Christ? Developing and nurturing Christian relationships is at the heart of the Kids 4 Christ Program. We decide to set our heart and mind to love one another as Christ loves us. When we do this, we give one another unconditional, unearned, undeserved grace and love. Learning to love and live this way takes time and practice. Kids 4 Christ provides both in a safe environment every week. Kids 4 Christ also provides an opportunity for children to explore their identity in a Christian environment. Pastors and other congregational leaders can become friends, as well as counselors and teachers. Not only does Kids 4 Christ meet the needs of children, it invites everyone involved into active participation. What will happen at Kids 4 Christ? Meal Time-Dinner is shared around tables served by volunteers from the church. Relationships grow while the children are nourished, body and spirit through shared mealtime. Worship/Music-Worship is the most basic form of Christian service. The goal of the Music is to help students learn of God’s love in a way that sticks in their heart and mind with rhythm and fun. 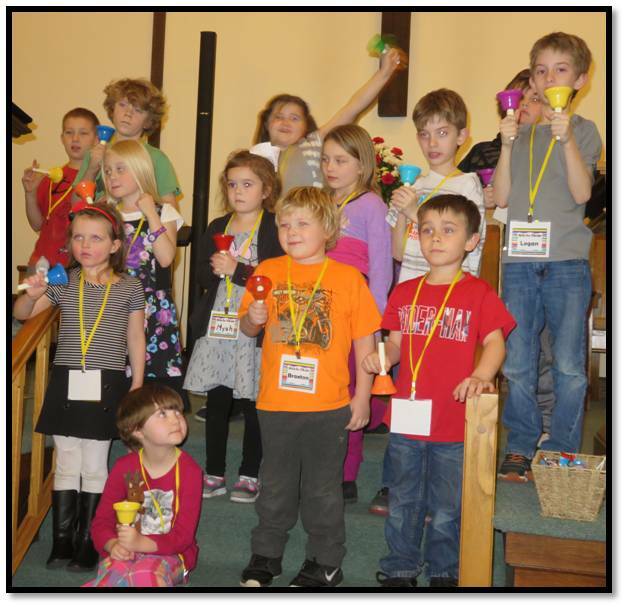 Music helps kids develop worship skills. Homework-Homework time is devoted to helping children learn good study habits and build relationships with adults who assist them. Learning-A fun environment to learn is the heart of the Kids 4 Christ. The goal is to nurture our children and young people into head & heart biblical discipleship. Crafts-Crafts allow children to develop creativity. Relationships are developed as children and adults work together to create something beautifully unique as they are. 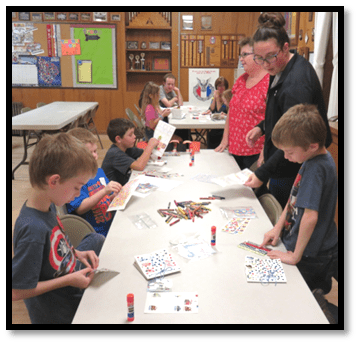 When Does Kids 4 Christ begin? Winter session begins January 15th at 4:40 p.m. through March 5th, 2019. Please Note: For the security of our children, Edison Local Schools requires Richmond UMC supply the names and addresses of children riding the bus to K4C. Your child will not be permitted to ride the bus to the Richmond United Methodist Church without PRIOR notification. Please call the church office at 740-765-4957, so that we can inform the school. Please find the forms in the links above or they are also provided below.